Evan Soltas would like you to know he read a book about unions. In his recent Bloomberg View column, Soltas ponders the thesis of Richard Freeman and James Medoff’s seminal book What Do Unions Do? and concludes that unions don’t do much in today’s economy. As Soltas notes, Freeman and Medoff boil down the functions of unions to two main points: 1. They serve as a check-and-balance on employers. 2. They ensure workers have a voice on the job. These two functions, from a macroeconomic perspective, allow workers to earn higher wages and better benefits, which serves to reduce income inequality. This important fact is supported by research demonstrating that the growth in inequality corresponds with a decline in union density. The loss of unions, in Soltas’s opinion, is a natural and unavoidable outcome of a global economy. Soltas argues that U.S. policy makers (and, presumably, workers) should not worry though because the check-and-balance on employers provided by unions comes too much at the expense of non-union workers and that other forms of worker voice are preferable. Unions are also necessary if public policy is going to effectively promote worker voice. First, it is naïve to think that unions simply have run their course. Our broken labor law makes it incredibly difficult for workers to form unions. Without any real penalties to fear, employers have an economic incentive to violate federal labor law. 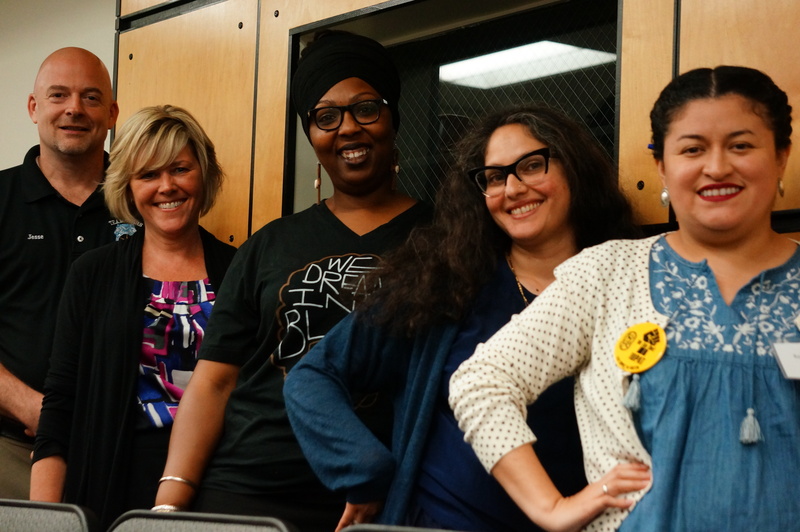 Research shows that indeed they regularly do, using a variety of often unlawful tactics to coerce and intimidate workers during union organizing campaigns. (And, as we saw in Chattanooga, even when an employer respects the right of workers to decide on union representation, anti-union politicians and front groups are quick to fill the void – threatening the workers with a loss of work and economic subsidies should they elect to join a union.) Soltas doesn’t even consider the ramifications of broken labor law. Soltas also misses the boat on the other points he raises. Unions protect the interests of all workers. In politics, unions stand as the only formidable bulwark against the flood of corporate money that flows in a post-Citizens United world and the anti-worker agenda it supports. To name just a few examples, unions consistently advocate for expanded access to health care, the protection of Social Security and Medicare and a more fair tax code. 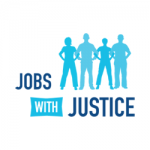 Unions are vital to shaping and supporting the very type of policies – including broader protections for worker voice! – that can help reduce inequality. We also know that the presence of unions can raise standards for non-union workers in similar industries and nearby locations. Simply offering workers more ways to have a say in the workplace won’t replace these important functions. Unions are also necessary if public policy is going to effectively promote worker voice. Works councils and other non-union mechanisms can only succeed if workers have, under the protection of law, the ability to band together and engage in self-directed concerted activity – or put more simply, if they can form unions. It is fine if workers can exercise their voice in a non-union setting. However, without the right to form unions and engage in protected activity, workers run the risk of employer-dominated processes that may provide them a proverbial seat at the table without an ability to make the boss listen. I give Soltas credit for acknowledging the importance of worker voice in making a better economy, one that works for everyone. However, he is mistaken to believe that worker voice can be promoted, protected and effective without the presence of unions. 1. On the question of the future of unions, larger economic forces have certainly made it more difficult for unions to regain density. Global competition is one of them, as is the U.S. economy’s shift from manufacturing to retail/service, a historically non-union sector. These forces create unique challenges for workers trying to form unions today, which they are still very much trying to do. 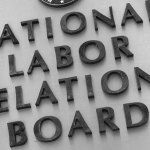 To give just one example, the NLRB received over 3,000 requests for union elections from nursing home and non-acute care employees in the last decade. Given that workers are still trying to organizing unions, one must ask why they don’t succeed. The answer, as Kate Bronfenbrenner describes convincingly in detail, is intense employer resistance. Much of this resistance violates federal labor law. Employers also commonly use procedural delays to lengthen the union election process. Why do employers do this? They know that these tactics are effective in limiting successful union organizing, and they come at little expense, given the NLRA’s lack of financial penalties beyond potential back pay. (Farber and Western themselves point out that procedural delays are a particularly effective unionbusting strategy.) This is not a natural outcome. It is the result of a deliberate decision to not address the deficiencies in our labor law. 2. I still don’t see how we get to policies like full employment, which Soltas believes will address inequality better than unions. Who, if not unions, has the resources, both in terms of money and supporters, to support this policy agenda and take on any opposition to it? And assuming these policies become law, who ensures that future administrations and congresses do not repeal them or render them ineffective? Unions aren’t just a check-and-balance on employers in the workplace. They also serve as a check-and-balance on corporate power in politics. That’s one reason why they matter for all workers, union and non-union. 3. 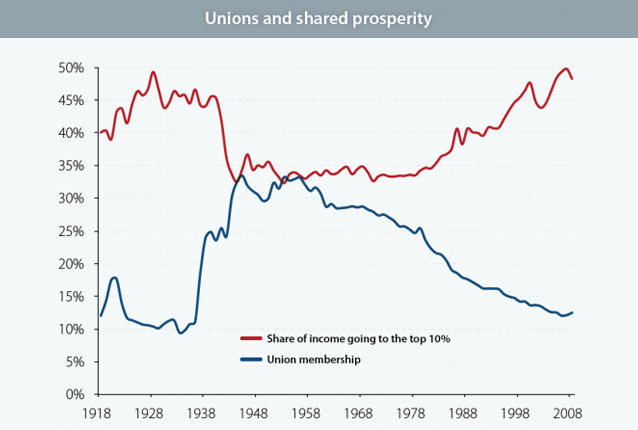 It is not just my view that the decline in unions contributes to the rise in inequality. Western and Rosenfeld (2011) do too, finding that a decline in unions accounts for as much as a third of the growth in inequality. They specifically consider Soltas’ view that the global economy leads to increased inequality and decreased unionization before rejecting it as a primary factor. To read more of Michael’s musings, follow him on Twitter: @JWJMichael. I’m not convinced on that front. If you look at the history of unionization in the US, the big advances in union density actually followed a political climate and elections that brought in pro-union and pro-left Democratic majorities in the 1930s, not the other way around. And when the political climate shifted against that with Taft-Hartley in 1947, unions had a handful of years of growth left then fell into terminal decline in the US even when you factor in wave of public sector unionization. In other words, you need to convince the bulk of the populace that unions are a really good thing and that we should have more pro-union legal policies again. If you can convince them of that, then you already have the political clout in Congress to pass pro-labor and pro-worker policies – you don’t really need unions for it. It’s not going to be easy, too – Democrats couldn’t or wouldn’t reverse Taft-Hartley after 1947 even despite having decades of filibuster-proof majorities in Congress plus the Presidency. Chicken-Egg argument. Density graphs from 1880’s show a fairly steady climb up to the NLRA (which provided enough protection to allow for a substantial surge) 3 small spikes followed by a decline each mirroring the larger current trend. Gallup polls still show a majority of the population has a favorable view. However, NOT favorable enough to risk the threats employers always use after finding new ways to either intimidate activists or skirt weak laws. 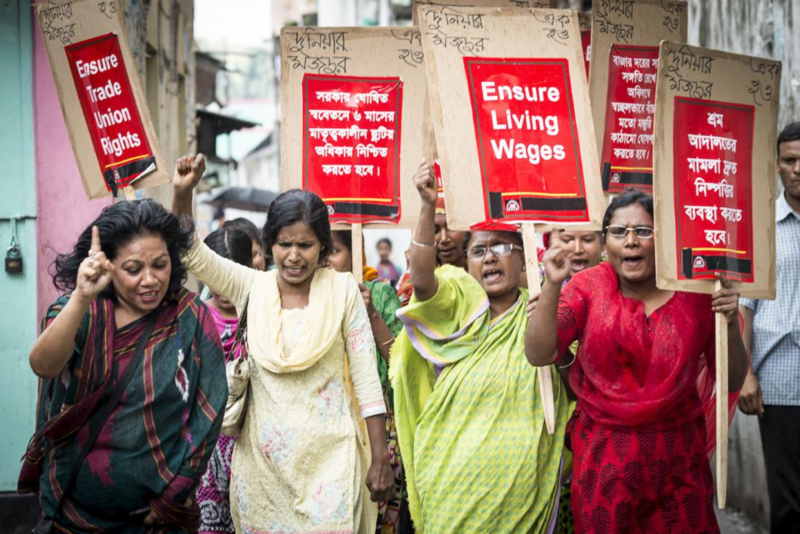 Working conditions will either have to get to the point where people are willing to fight again or labor law strengthened so that intimidation is eliminated. Income inequality trends do not encourage optimism nor does the linked study in the story concerning union election practices. 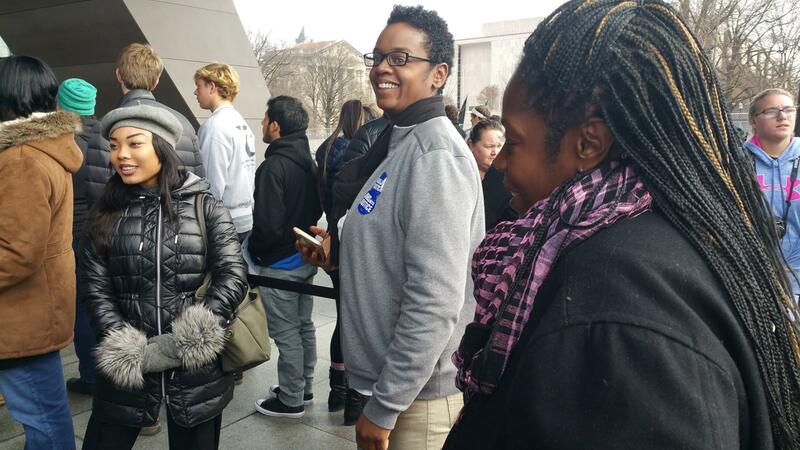 But that wouldn’t stop them from voting for pro-union policies when they vote for representatives, which would make it easier for unions to organize in the face of opposition (such as a strengthened card check). And that’s the problem I pointed out – that support doesn’t exist, and apparently hasn’t existed in strength for decades. People may say they’re favorable to unions, but that’s not showing up in any significant way at the ballot box. I’d like unions more if they weren’t so needy. They keep asking for more wages, more wages, and most of the time that only gets the company to move their work somewhere else (likely to a different country) or the company loses profit and production and is forced to shut down. My two examples are EMD and Hostess. The workers at EMD didn’t want to take a 50% wage cut, so they got locked out of the London, Ontario factory. Shortly after, the plant was shut down for good, forcing workers to find other jobs. EMD since relocated to Muncie Indiana with non-unionized workers. If unions went back and worked the way they were originally created to work, then perhaps I could go on and support them. Multiple unions in a company is generally bad news. It’s hard enough trying to change work policies while negotiating with a single union – having to negotiate with multiple unions (which may have their own compartmentalized agendas) is a nightmare. That would be reneging on the pension promises that were made to these retirees in lieu of greater upfront compensation. Municipalities already have a bad incentive to promise payment in the future to get the services they want today, and this would make it worse – since now they would know that they can promise the moon only to take it all away when the bill finally comes due. Funnily enough, Hostess is a very good example of the difference between Unions and Management in America. The argument that the Union caused Hostess to go out of business is simply wrong. If Management had done their jobs correctly, Hostess would not have gone out of business. But Management never gets blamed for making bad decisions or wasting money or running the company into the ground. And when it comes to concessions on wages and benefits, it’s always the workers who are supposed to make those concessions. Where do you think most of the labor costs lie in a large company? Drastically cutting executive wages saves you a few million at best, most of the time – and that’s assuming all of your best top management people don’t get headhunted away by firms willing to pay them higher wages than their reduced salaries. If you have to make cuts, it’s going to come out of where the labor costs are, and that’s in the pay and benefits that most of the workforce are receiving. As for Hostess, that was a situation where literally everybody except one union was on board with what needed to be done – even the Teamsters, who brought in their own people to look at the books and verify that stuff was as bad as management said it was. Sorry, but when the CEO makes 435% more than the average worker – not the lowest paid worker – and that’s just one employee (b/c that’s what a CEO is), and the company does poorly because of bad decisions, you cut the person who made the bad decision. Except in American companies. Then you give them golden parachutes and screw the workers even though these CEOs have proven to be no better – and in many cases worse – than the average worker. Your assumptions are the usual talking points that have no actual basis in reality. The golden parachute stuff is because that’s what they negotiate in their contracts when they’re hired. That’s stuff they voluntarily offer in a contract in order to hire that CEO in the first place. If you think it’s wrong or pointless, then you have to convince the hiring committees for these companies that they can get away with paying new CEOs less in compensation. In any case, that doesn’t address my main point. You need your senior management even during a crisis, and if you drastically cut their wages, then the good ones have much more ability to leave your company and get hired somewhere else than your average worker. That’s fact, something you can see even when mediocre CEOs get picked up after leaving a job for something else. Sorry I didn’t respond sooner. Have been offline for a day. Golden Parachutes are not in many cases negotiated before the CEO begins. Hence buyouts. The fallacy that the CEO needs to be paid 435 times what the average worker is paid is just that a fallacy, else one would need to find some explanation why countries others than ours with CEOs paid considerably more in line with the rest of their organization can outperform in many cases our organizations. As for needing your senior management in a crisis: if they created the crisis in the first place, why? The problem is many of these boards are made up of the friends an acquaintances of these CEOs. They get moved around from one company to another, but they do not in fact make the companies perform better the majority of the time. Yet because they all know each other, they get wonderful compensation packages for doing mediocre at best work. I’m not defending any particular CEO pay level, just making the point that you need to convince compensation boards that they don’t need to pay more for them. And you need to pay them enough so that other firms don’t hire away your best management people. If you can swap in a new person without causing a ton of problems, then go ahead. But realistically your company is going to have problems if your senior management gets picked off by competitors when the company is tanking – you’ll be stuck trying to get new people up to speed in the middle of a crisis. stop with the 2% crap…you are the delusional one. business doesn’t work the way you want, especially since your not working for them. Why, thank you for that surprising insight. Did you think that all up by yourself or did your dog help you? you’re full of crap…when businesses can’t address there costs and union employees don’t think they need to make their “fair share” contribution to the health of the business, you get bankruptcy. twinkles are back, but those union employees are now finding out what it’s like to work in the marketplace. hope they’re happy. You’re very good at making a great deal of noise but saying absolutely nothing of any consequence. Good day. Whom should advocate for the employee? 1. The government, riddled with politics? 2. Unions, rich in a history of achievements, corruption, incompetence, etc.? 3. The free market, which is often unfair?